Until recently, it was thought that microorganisms were homogenously represented across the Earth. However, scientists have recently discovered that the distribution of microbial species is remarkably variable across the assortment of environments this planet has to offer. This has led researchers to picture microbes as invasive species that invade environments where they have not previously existed. University of Groningen microbial ecologists have summed up what is known about microbial invasions in the journal Trends in Microbiology. Besides providing a better understanding of the diversity and distribution of microbes across the Earth, their models could change how we treat infectious diseases. It’s a common sight when you cycle through the countryside surrounding the city of Groningen: cows munching away in the fields and, if you catch them at the right moment, producing a fresh cowpat. Not only does this brown slurry contain the remains of the cow’s grassy meal, but also myriads of intestinal microorganisms. If you look at it from the microbial perspective, the cowpat is Omaha Beach, the intestinal microbes the Allies and the soil bacteria the Germans. 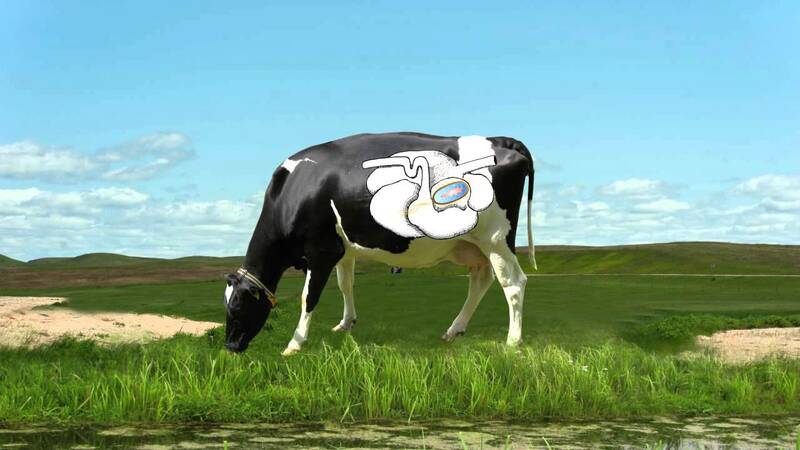 Viewing a defecating cow as launching a microbial invasion of a field is a relatively new perspective, says Cyrus Mallon. He recently defended his PhD thesis on ‘Soil microbial invasions’ at the University’s Groningen Institute for Evolutionary Life Sciences and is the first author of the review article, which the journal Trends in Microbiology published on 1 October. ‘Until recently, the idea was that all microbes are present everywhere, and that environmental conditions simply select which species dominate’, explains Mallon. This paradigm in microbiology stems from the time when bacterial species were mostly identified with classic techniques, like morphological observations under the microscope, which are limited in their determination. Even with the advent of DNA sequencing and genetic identification, this was generally done with one particular ribosomal gene. It wasn’t until scientists began to use the DNA sequencing of multiple genes to investigate microbiological communities that they realized that microbes do show biogeographical patterning, and could conclude that microbes could be viewed as invasive species. Invasions occur when microbes enter a new environment. Mallon: ‘For example, ocean currents can disperse microorganisms. And there is evidence that microorganisms travel by air: microbes believed to have originated from the Gobi desert were collected in air samples from the northwestern United States.’ And there’s defecating animals like cows, of course. Together with Professor Jan Dirk van Elsas and Associate Professor Joana Falcao Salles, Mallon analysed the literature so far to paint a picture of these microbial invasions. Their review article reveals two main findings. The first is that microbial invasions follow a similar overall pattern to invasions by animals or plants. The second is that species diversity is the best defence against invaders. Mallon: ‘From the literature, we identified four phases of an invasion: introduction, establishment, spread and impact.’ Interestingly, this process is similar to the invasion process observed for plant and animal invasions. This finding may have important implications, says Joana Falcao Salles: ‘As microbial ecology and general ecology seem to follow the same rules, it may be possible to use microorganisms as a model in evolutionary and ecological experiments.’ Due to their very short generation times, this could deliver much faster results. The synthesis of a wide range of microbial invasion experiments showed that the diversity of the bacterial community that is already present in the environment forms a barrier to invading species. And while diversity is a good predictor of invasion resistance, at the heart of the mechanism is the ability of many different species to exploit many different types of resource, thus removing any potential sustenance for an invader. Reference: Microbial invasions: the process, patterns, and mechanisms. Cyrus Alexander Mallon, Jan Dirk van Elsas, Joana Falcão Salles. Trends in Microbiology, 1 October 2015. Last modified: 17 October 2017 11.55 a.m.